These days a video of Chris Froome show that the British would have mounted a small engine inside his bicycle. The video can be found at this link https://www.youtube.com/watch?time_continue=66&v=_UNHibTi1wA and within a few hours it has had hundreds of thousands of views that trigger the most disparate reactions. In fact, there are a couple of considerations that need to be made. The stretch in which the shot is taken is downhill and therefore it is normal for the athlete to take speed. 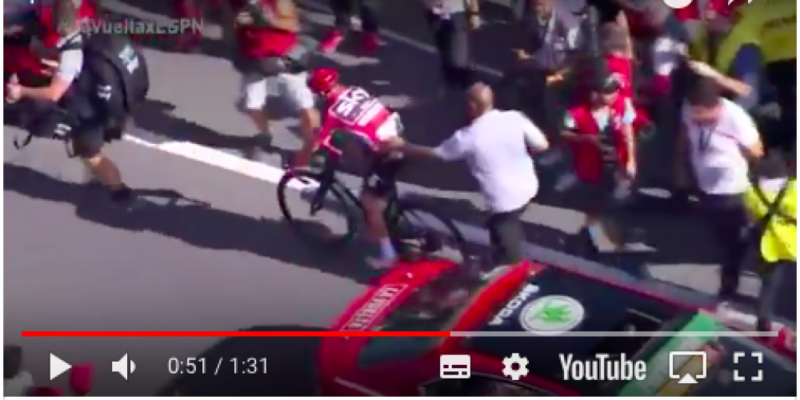 At the second 26 of the same video it can be noticed that even a Cannondale knit runner moves in the same thrown spot and without pedaling. A runner like Froome who has built a great career, for which he has won for years, would never risk cheating with that engine. It means ending career and reputation ruined. At a time when it seems to have been returned to the famous witch hunt, where many thermal-camera controls are carried out and the bikes dismantled in surprise inspection, only a madman could have such courage. Now let’s go back to cycling. Tomorrow the 41 km time-trial is waiting for us, and Sky Captain is the number one favorite for the day success and the final standings.